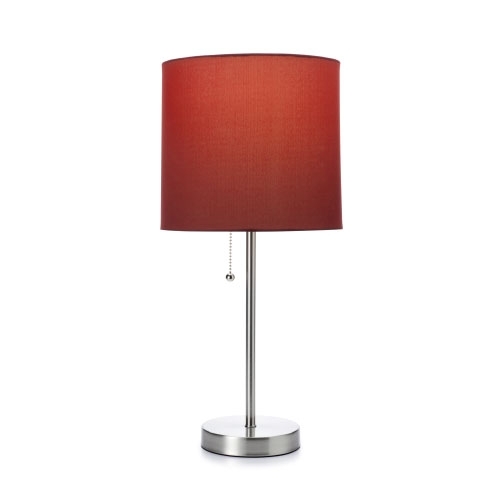 Light up any space with this simple, sleek table lamp. Features a stainless base and pull, this home accessory stays shiny with little maintenance. To top off the lamp, its round drum shade is made of 100% organic cotton, which comes in your choice of two striking colors. 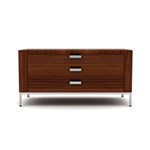 Designed by Moderno, this piece adds a modern, industrial feel to any room.